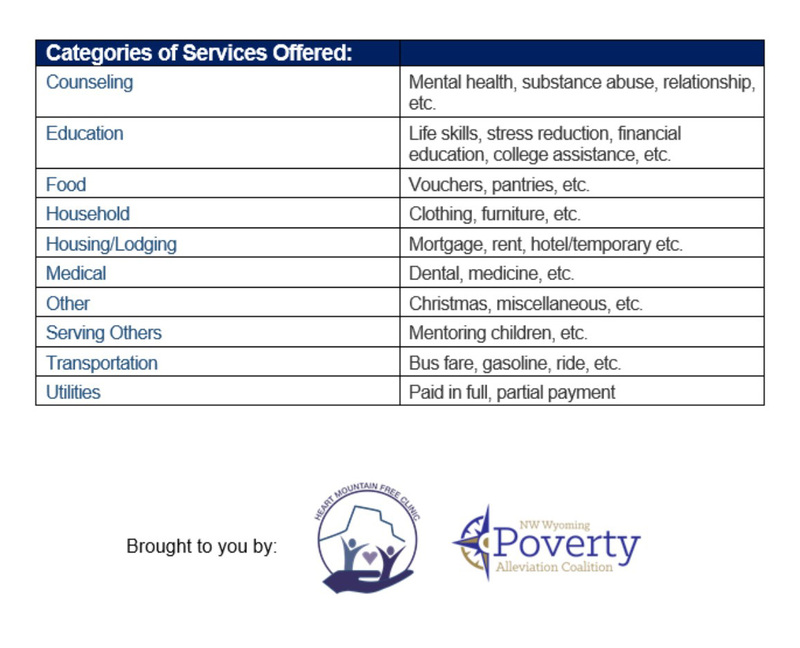 One of things we have learned from conducting Poverty Simulations is that people living in the crisis of poverty spend a great deal of time trying to find the resources they need. These folks go from one office to the next filling out similar forms that are often 5+ pages in length. HMFC and the Northwest Wyoming Poverty Alleviation Coalition dreams of the day people can spend more of their time improving through education or looking for a job. To help with this challenge HMFC has purchased a cloud-based, networking tool call CharityTracker by Simon Solutions. 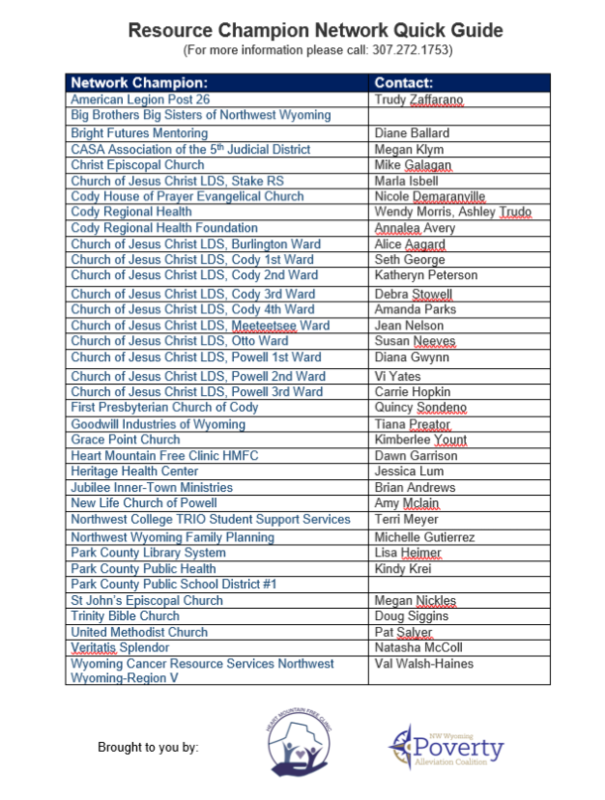 CharityTracker was purchased using funds through the Foundation of the Episcopal Diocese of Wyoming and Christ Episcopal Church. With these funds HMFC has the ability to provide unlimited access to businesses, churches, and organizations for two years. The network is also a benefit to individuals as it allows them to go to one place and get the help they need. If your agency would like more information on joining the Network and becoming a Resource Champion, please complete the form below and submit. Knowing the agencies/organizations that are in the Resource Champion Network and the services they can assist you with is important to know. The guide below has been created to provide you with this information. You can also download the information and print it off by clicking the download button.